The current comes from essentially the same source as that tiny spark that jumps from a fingertip to a doorknob when you walk across carpet on a cold, dry day. Wang and his research team have learned to harvest this power and put it to work. A professor at the Georgia Institute of Technology, Wang is using what’s technically known as the triboelectric effect to create surprising amounts of electric power by rubbing or touching two different materials together. He believes the discovery can provide a new way to power mobile devices such as sensors and smartphones by capturing the otherwise wasted mechanical energy from such sources as walking, the wind blowing, vibration, ocean waves or even cars driving by. Beyond generating power, the technology could also provide a new type of self-powered sensor, allowing detection of vibrations, motion, water leaks, explosions – or even rain falling. The research has been supported by a variety of sponsors, including the National Science Foundation; U.S. Department of Energy; MANA, part of the National Institute for Materials in Japan; Korean corporation Samsung and the Chinese Academy of Sciences. The research has been reported in journals including ACS Nano,Advanced Materials, Angewandte Chemie, Energy and Environmental Sciences, Nano Energy and Nano Letters. Since their first publication on the research, Wang and his research team have increased the power output density of their triboelectric generator by a factor of 100,000 – reporting that a square meter of single-layer material can now produce as much as 300 watts. They have found that the volume power density reaches more than 400 kilowatts per cubic meter at an efficiency of more than 50 percent. The researchers have expanded the range of energy-gathering techniques from “power shirts” containing pockets of the generating material to shoe inserts, whistles, foot pedals, floor mats, backpacks and floats bobbing on ocean waves. Since their initial realization of the possibilities for this effect, Wang’s team has expanded applications. They can now produce current from contact between water – sea water, tap water and even distilled water – and a patterned polymer surface. Their latest paper, published in the journal ACS Nano in November, described harvesting energy from the touch pad of a laptop computer. April 17, 2019 - New device generates electricity from snow, where solar panels don’t work Business RecorderThough solar panels are one of the most renewable energy sources, it still doesn't help much in snowy place for making solar energy. Hence, scientists have. 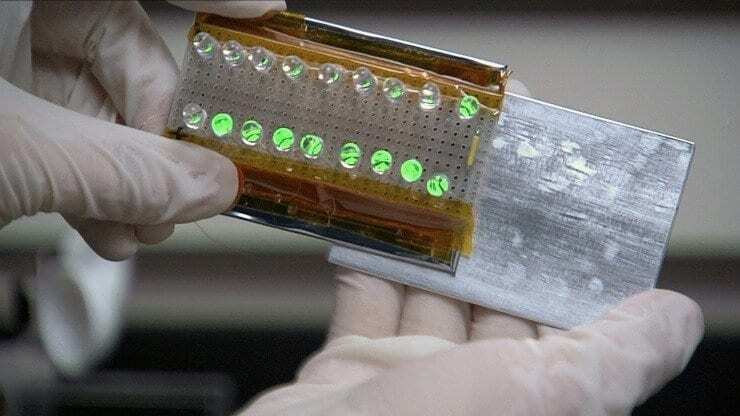 March 18, 2019 - Triboelectric Generators to Power Implantable and Wearable Medical Devices | MedgadgetWearable and implantable medical devices are constantly hungry for electricity to power their functions. Batteries, their lifetime, whether they can be. December 15, 2017 - Optimization principles and the figure of merit for triboelectric generators Science AdvancesEnergy harvesting with triboelectric nanogenerators is a burgeoning field, with a growing portfolio of creative application schemes attracting much interest.